Iloilo City Mayor Jed Patrick Mabilog and Megaworld senior Vice President Jericho P. Go (seated, center) led today’s partnership signing for the annual Bike Festival to be held in Iloilo Business Park until 2024. Joining them were (standing, L-R) Jojo Castro, sports officer, Iloilo City; Iloilo City councilors Jay Trenas, Love Love Baronda, Leone Gerochi, Jayson Gonzales; Felix Tiu, chairman, Iloilo City Trade and Investment Promotions Board; Harold Geronimo, head of PR and Communications, Megaworld; Ogie Natividad, leasing manager, Megaworld; (seated, L-R) Iloilo City Vice Mayor Jose Espinosa III, and Jennifer Palmares-Fong, head of marketing, Iloilo Business Park. There is so much excitement coming up in the 72-hectare Iloilo Business Park (IBP) as it becomes the official home of the annual Bike Festival until 2024. This, after Megaworld and the Iloilo government signed a Memorandum of Agreement (MOA) to formalize the partnership. The partnership between Megaworld and Iloilo, signed by senior vice president Jericho P. Go and Iloilo City Mayor Jed Patrick Mabilog, will promote a healthy lifestyle, road-sharing as bike lanes emerge and public safety practices in Iloilo. “The partnership solidifies the very purpose of this festival, which is to gather the Ilonggo community and show its commitment to healthy and sustainable living. We fully support Iloilo’s bid to become the bike capital of the Philippines as we also build our own bike lanes in Iloilo Business Park,” says Go. Future residents, BPO workers, mall-goers and visitors of the Iloilo Business Park will see it rising to become an eco-friendly, sustainable township. “The very essence of township living is allowing convenient access to everyone to walk from one place to another or use bikes around the township, lessening carbon footprint,” adds Go. Soon to rise in the township is The Palladium, a 22-storey residential tower with green features of multi-level sky gardens — the first in Western Visayas. This tower is also envisioned to be the region’s tallest residential condominium once completed. We are very excited about The Palladium because our residents will be able to experience sky garden living that allows them to commune with nature without going out of the building,” says Jennifer Palmares-Fong, head of marketing, Iloilo Business Park. The Iloilo Business Park is poised to be the Western Visayas’ biggest business and tourism hub located at the site of the old airport in Mandurriao district. Megaworld has allotted P35 billion for the development of the township in the next 10 years, making it the company’s biggest single investment outside Metro Manila. The Iloilo Business Park will be home to luxury residential condominiums, state-of-the-art business process outsourcing (BPO) office towers, a Megaworld Center Mall, a 1.1-kilometer Festive Walk commercial and retail strip, open parks, transport hub, first-class hotels such as the Richmonde Hotel Iloilo and the Courtyard by Marriott Iloilo, and the much-anticipated 3,700-seating Iloilo Convention Center. 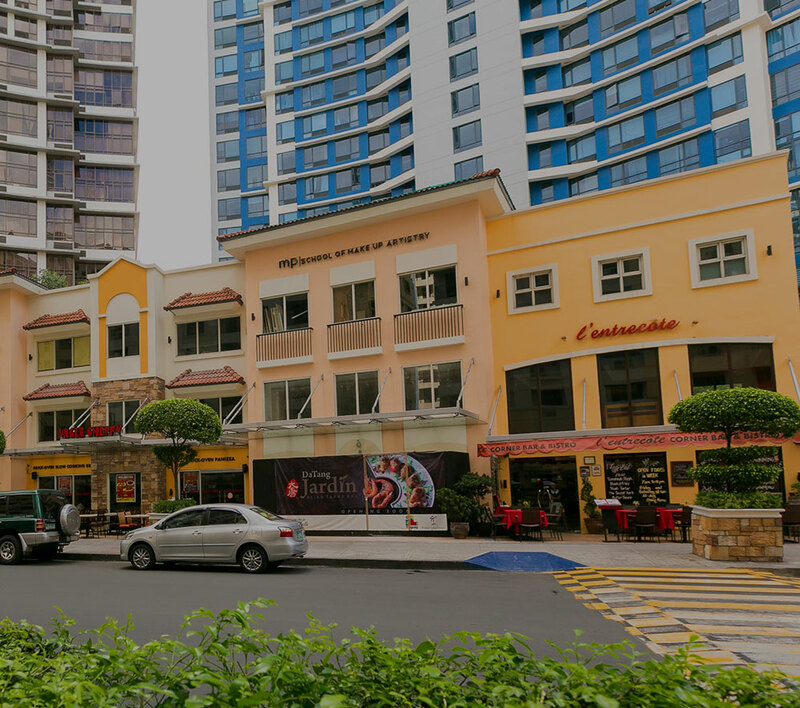 The Iloilo Business Park is expected to bring Megaworld’s pioneering ‘LIVE-WORK-PLAY-LEARN’ township to Western Visayas, following the success of other townships such as the 18.5-hectare Eastwood City, known to be the Philippines’ first IT park; the 50-hectare McKinley Hill, 34.5-hectare McKinley West in Fort Bonifacio; the 15.4-hectare Uptown Bonifacio and the five-hectare Forbes Town Center in Fort Bonifacio; the 25-hectare Newport City in Pasay City, home of the famous Resorts World Manila; the 12.3-hectare Woodside City in Pasig City; the 11-hectare Davao Park District in Lanang, Davao City; and the 28.8-hectare The Mactan Newtown in Lapu-Lapu City, Cebu.